The WebGL standard is a key advance, with major companies keen to utilise the hardware in your computer with Open GL and enable much more advanced graphics within browsers. The AMD OpenGL ES 2.0 driver should enable what many are describing as an 'application-like' browser experience, which could include 3D graphics and enhance the next generation of the internet. "AMD is a steadfast supporter of industry standards, including those that unlock the power of GPU acceleration," said Manju Hegde, corporate vice president, AMD Fusion Experience Program. "At AMD, we see the future of computing as being intensely visual, requiring a variety of rich media 2D and 3D applications. "With functionality like the OpenGL ES 2.0 driver and technology breakthroughs made possible by AMD Fusion APUs, we aim to deliver the ideal development platform for immersive experiences both online and natively on virtually any PC form factor." The OpenGL ES 2.0 driver from AMD will arrive alongside the ATI Catalyst 10.7 beta for OpenGL ES 2.0 which should be available in the course of today. 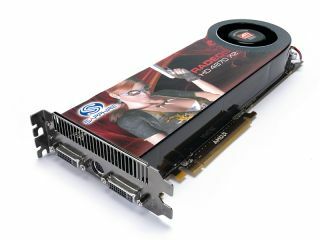 All currently available AMD graphics products released since 2008 should be able to handle the new drivers, including including ATI Radeon desktop graphics, ATI Mobility Radeon graphics, and ATI FirePro professional graphics cards.